Last summer we published a report wherein 63% of marketers said that Facebook marketing had become strictly pay-to-play. Feel the same way? Well, you’re not imagining the decline in your organic reach. In 2014, due to the amount of content being published to the Facebook news feed, the social media giant refined its algorithm to show more relevant content to its users rather than all of the content. One way to counter that? Spending money. By advertising on Facebook, brands have more control over who sees their message, and perhaps more importantly, the number of people that actually see it. But how well does it scale? In other words, if we increase our ad spend, will we also increase signups? Leads? Customers? 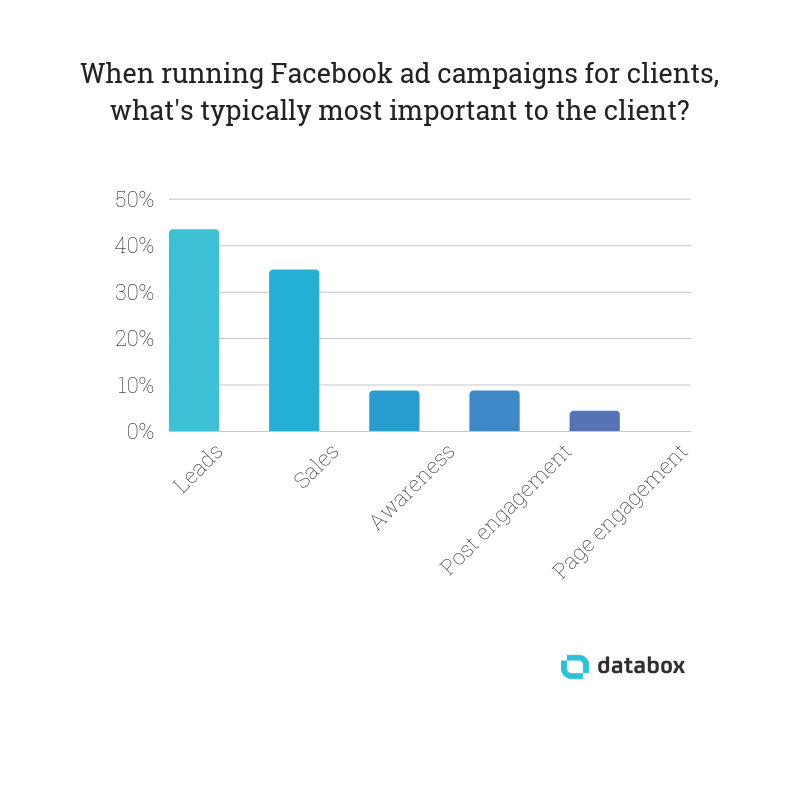 To find the answer, we polled a couple dozen agencies on both the effectiveness and scalability of Facebook advertising. 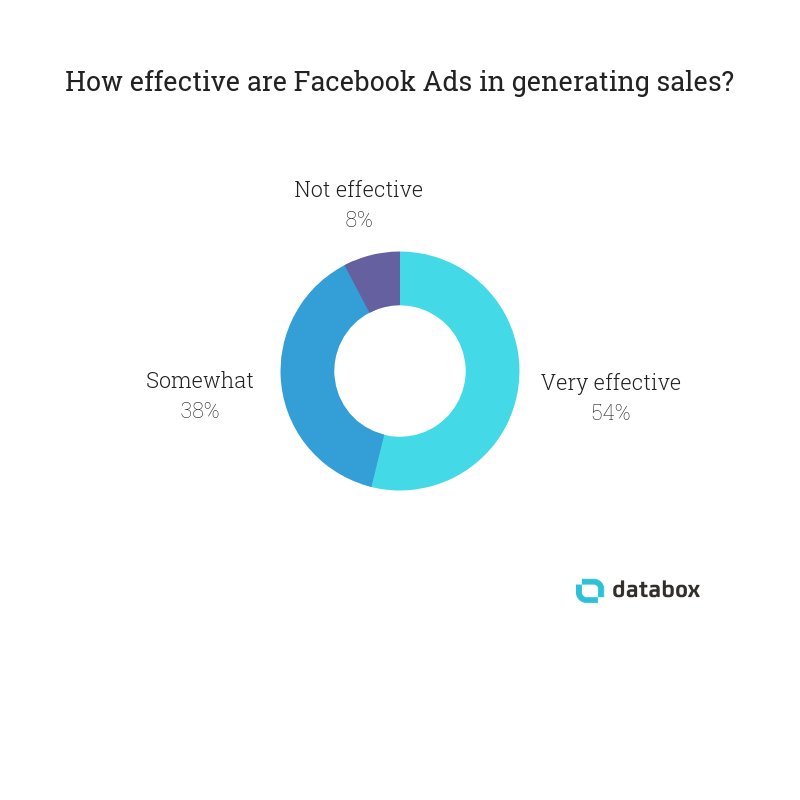 First, 92% of the marketers we surveyed said that Facebook ads are at least somewhat effective at generating sales. 54% said they’re “very effective.” Only 8% said that Facebook Ads are “not effective” in generating downstream impact. Next, if you’re seeing success in your advertising efforts, do you continue to increase the investment? Spending more money on Facebook ads will get you more sales . . .
Of course, this applies primarily to B2B companies and B2Cs with high-price items. But the point stands for other products, too. You can grab people’s attention with a Facebook ad, but the product (and people) still need to sell. Our research suggests that many companies don’t expect direct sales from Facebook, but rather leads that sales team can turn into sales. Keep in mind that you’ll need to adjust your strategies and expectations based on your goal. On the other hand, “Facebook advertising can be scaled to continue to have a positive return on investment as you raise spending, provided you continue to test ads that are being run and can target a large enough audience. A local car repair shop will begin to experience diminishing returns as spend is increased because the possible new business opportunities are limited,” says Vincent DeCastro from SEO My Business. Casey Hill from Hill Gaming Company also emphasizes the importance of Facebook’s ad algorithm. 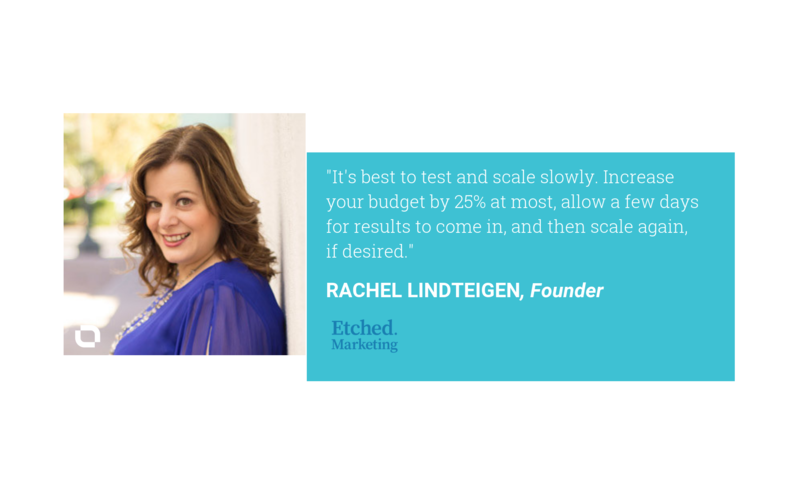 The ROI of the curve is clearly ‘S’ shaped in our experience,” says BEE Inbound‘s Lanny Heiz. “In addition to spending increases, it’s primarily the quality of your content and the specificity of brand’s messaging that sets the leading organizations apart when speaking about ROI,” says Ian Revling of Evolve Digital Labs. 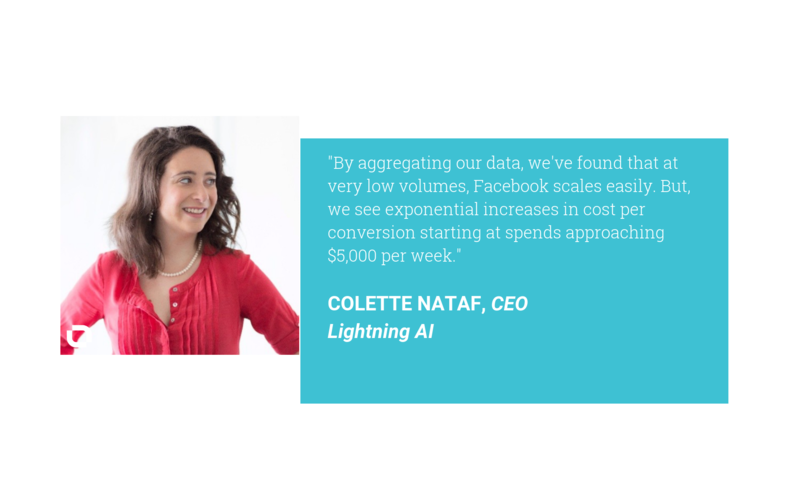 “For advertisers who are looking to scale up on Facebook without seeing an increased cost per conversion, there are three options,” says Nataf. “If you haven’t taken the time to create a strong foundation of targeted audiences, dynamic ad copy/creative and precise ad placement, then no, you won’t generate more leads by simply throwing more money at your campaign(s),” says Intuitive‘s Rachel Bills. Every company needs to find what works for their industry and business model. “For example, florists may have a Facebook campaign that scales around Mother’s Day, but on a random weekday in October will be unable to use Facebook as a channel at all,” says agency marketer Josh Meah. “Based on our experience and about a year’s worth of data, Facebook advertising is very effective for some industries, like real estate/rentals, and can be a less direct impact on sales for other services,” according to Delta‘s Theresa Keller. Finally, remember that sales volume isn’t the only measure of how effective ads are, says Max from FishTankBank. All in all, marketers generally agree that spending more on Facebook ads will generate more sales if you can satisfy a range of conditions. What about you? 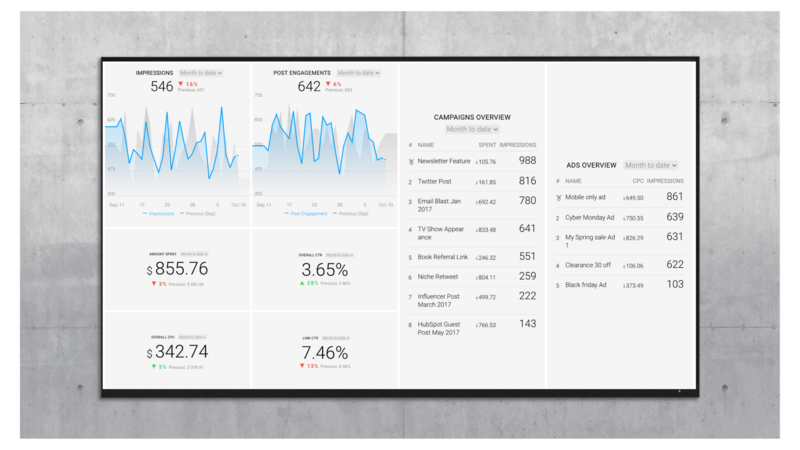 Have you seen increased sales because of an increased Facebook ad spend? Or have you found that your industry doesn’t work that way? Share your thoughts in the comments below.